rainbow small cubebot toy robot. 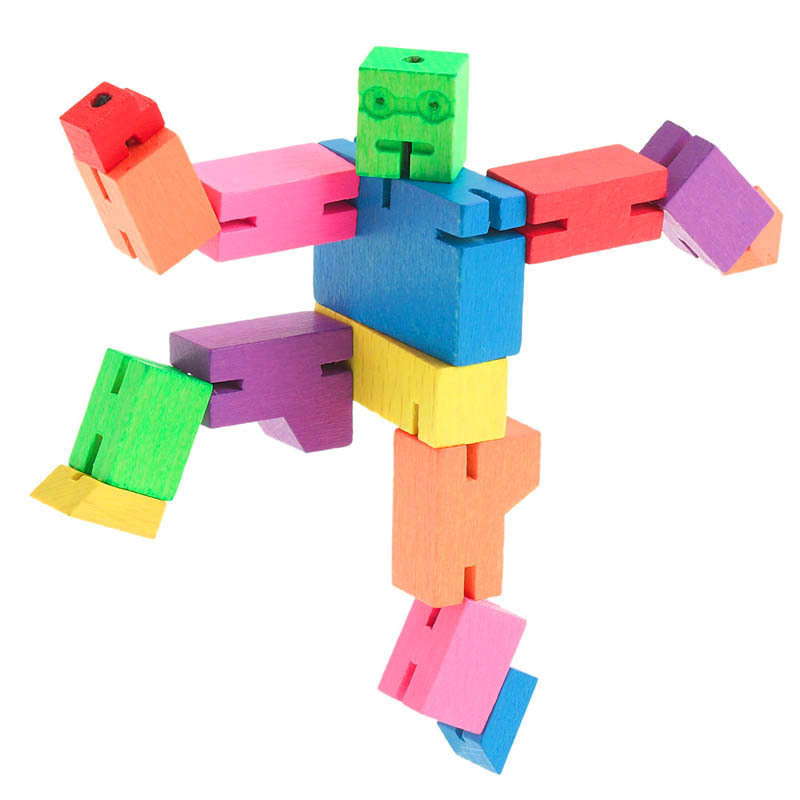 poseable break-dancing or kneeling action robot play toy in colored wood. love to chase after rainbows? think robots are cool? you'll find a match in our rainbow small cubebot toy robot. display breakdance action style, kneeling or standing on his head - cubebot small robot toy can be flexible and poseable to suit your needs; just don't ask him to do the dishes. this modern jointed cubebot adjustable robot can attain nearly any position you like. unlike most flexible robots, this ones has special elastic-jointed arms, legs and head, allowing positions like hand-stand, and arms perpendicular to its body. these cubebots are perfect for unique active poses like horseback riding, arm wrestling, weightlifting, or wrapping an arm around your finger...or pen on your office desk. flexible small cubebot toy robot allows to be arranged in various poses.